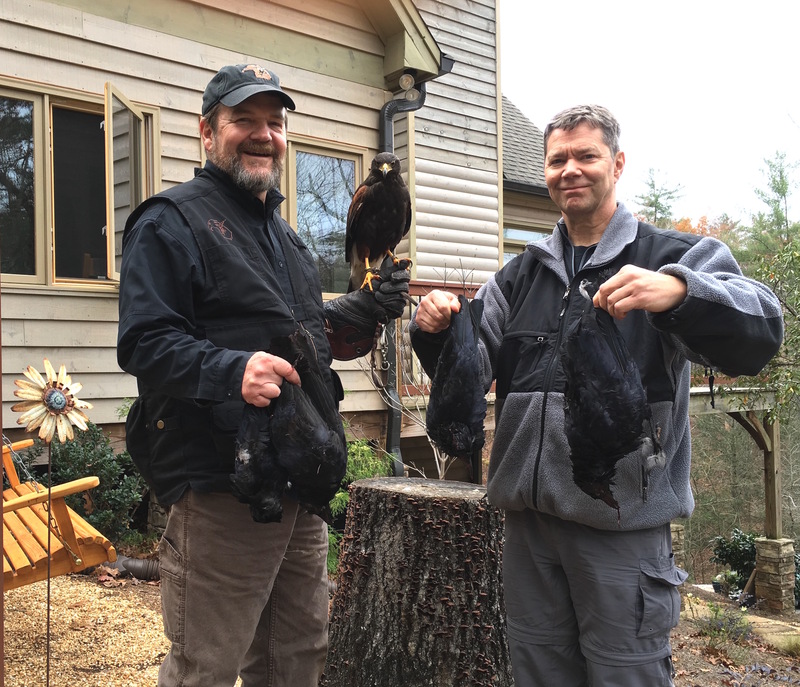 We have clients in White, Hall, Habersham, Lumpkin, Dawson and Union counties who have issues with crows at their businesses, farms and homes. On the day before Thanksgiving we took Hector out to see if we could give these folks a little “relief” from these smart feathered critters. Well, we literally chased hundreds away, but Hector made sure that 4 would never return. We very much enjoyed having my brother, Ken, along for the abatement work. Are crows a problem? 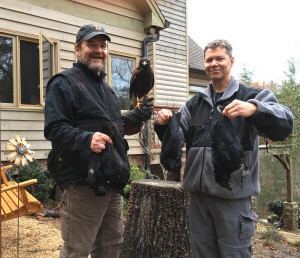 Georgia Mountain Falconry is the solution.